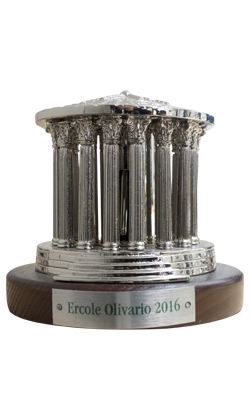 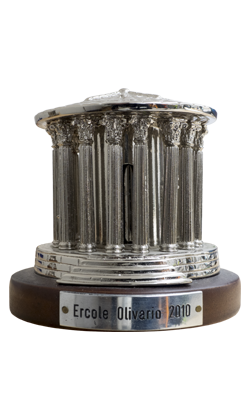 The Ercole Olivario award aims to enhance the best extra virgin oils of Italian olives from PDO areas or other several territories, in order to spread its knowledge, selecting and indicating the top quality oils, to stimulate the improvement of the product quality and contribute to enhance the job of the olive oil tasters, experts that are able to promote the quality of Italian olive oil to Italian and foreign consumers. 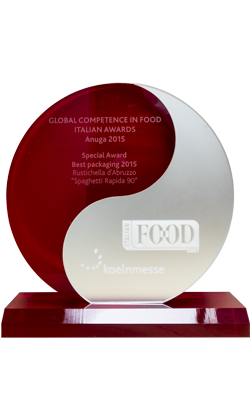 "Global Competence in Food - Italian Awards 2015" award as “BEST PACKAGING” among the most interesting innovative products of the Italian “Food & Beverage” industry for the international markets. 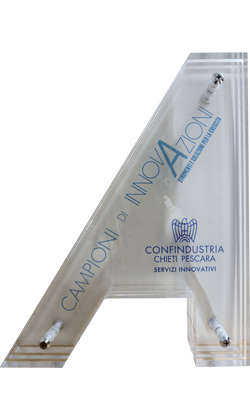 The futuristic packaging of “90 RAPIDA”, which puts modernity, speed and tradition together, was invented and created by Maria Stefania Peduzzi, owner of Rustichella d’Abruzzo. 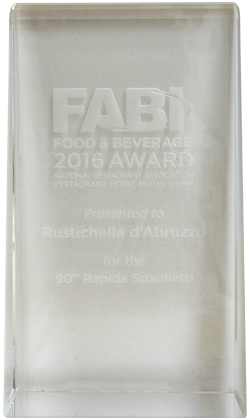 Rustichella d’Abruzzo Champion of Innovation – The Spaghetto 90” RAPIDA which cooks in just 90 seconds allowed Rustichella to gain the “Premio Innovazione 2014” (Innovation Award 2014) bestowed by Confindustria in a ceremony held at Ex Aurum in Pescara. 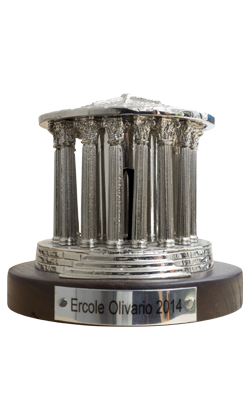 The CEO of Rustichella d’Abruzzo Giancarlo d’Annibale was there to receive the award.